During today's Sega FES stage show, six more titles for the Sega AGES line were revealed. These upcoming Switch eShop releases include Shinobi, Wonder Boy in Monster Land, Fantasy Zone, Puzzle & Action: Inchidant-R, Herzog Zwei and G-LOC Air Battle. This single-player action side-scroller is based on the original arcade release dating back to 1987. This action game for one player includes the Japanese and western version of the game as well as online rankings. The arcade release dates back to 1987. 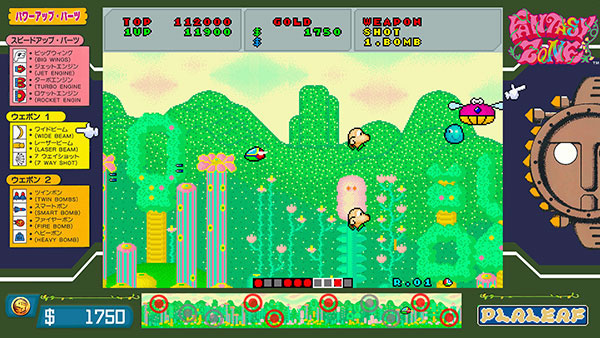 Fantasy Zone's Sega Ages debut is based on the 3DS (arcade) release and is designed for 1-2 players. 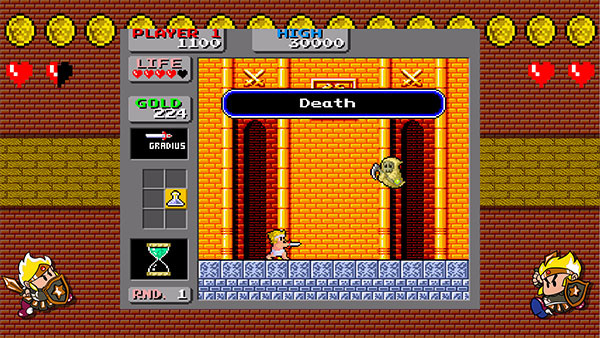 The coin stock system makes the game easier to play and adds in the original Sega Mark III boss. The original arcade game came out in 1986. Inchidant-R is based on the arcade and overseas version and is a sequel to Puzzle & Action: Tant-R. 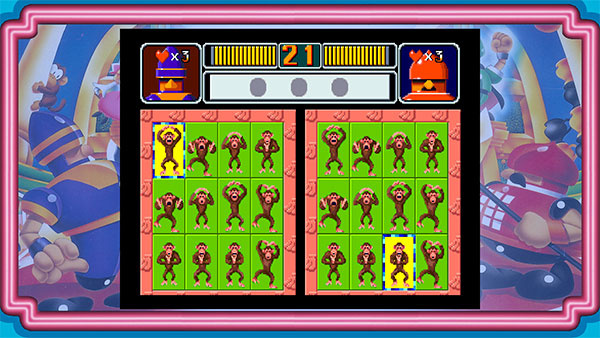 It comes packed with 16 mini-games, supports two players and was originally released in 1984. Originally developed by Technosoft - the talent behind the Thunderforce series - this single-player real-time strategy game will receive online support in the Switch release. The original game launched on the Mega Drive in 1989. 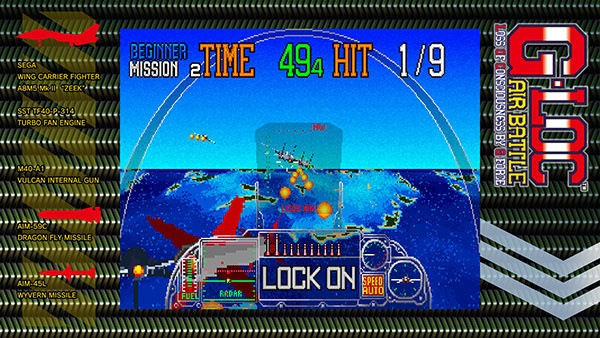 G-LOC Air Battle is a single-player 3D shooter and is a port of the 1990 arcade release. More information regarding release dates and localisation will be revealed in the near future. Herzog Zwei! Day one. Switch was best gaming decision ever. quite an interesting list on here. i'll try out Wonder Boy first. Wonder Boy in Monster land, OMG. Best game ever. Well, it's up there! That's another title on the Master System the NES couldn't graphically compete with. Herzog Zwei and the Puzzle game are unknown to me. The other four are excellent games I played a lot!!!! Keep releasing them with all the quality they deserve, Sega! Shinobi is the main one I want. Still pretty damn p****d it wasn't on the mega drive collection on switch (but was in game on other platforms) but definitely picking up that gem. Shinobi arcade on a handheld, yes please! I got it on MAME and on PS3 and have finished it so many times but still want it. Too bad it doesn't use half of the screen. Maybe it should get a wide screen 720p treat! G-loc.....but why? Still no Outrunners or Revenge of Death Adder.....I like some of these choices, especially Herzog. But still not overly impressed. Yeah you can stick your Mega Drive mini. Many better ways to play most of the good Sega games. For those that don't recognize Herzog Zwei, it's a real time strategy game for the Sega Genesis. A good one, too. @ballistic90 looking at gameplay for it on Youtube. now this game, has my attention. Great! Glad Sega is giving us more and more retro content on the Nintendo Switch. I hope Nintendo follows suit too. I think that takes the announced AGES line up to 20. So far we only have 6 and 2 of those just released.Unless they speed their releases up to the 2 per month like they said a year ago then we're going to be waiting a long time for them to release all of these. I had hoped the next batch was going to bring titles like Virtua Fighter and Cop rather than more early arcade games. @Joe-b this seems to be the arcade version, not the master system version, unless I’m mistaken? @Roam85 could be. Thanks. Still looked liked the master system version. Great game though. Great games but where is turbo outrun come on Sega! So much awesome, can't wait for Wonder Boy, Shinobi, Fantasy Zone, and Herzog Zwei. Now if only we could get arcade version of Thunder Blade and Revenge of Death Adder. I might pick up Puzzle & Action. really hope they bring out the original Bonanza Bros! Do the AGES games only contain either the arcade version or the console version? Waiting for Panzer Dragoon Saga. Cant wait to hear that Fantasy Zone music! Keep up that workload, SEGA AGES! @Alexface Phantasy Star is already out. 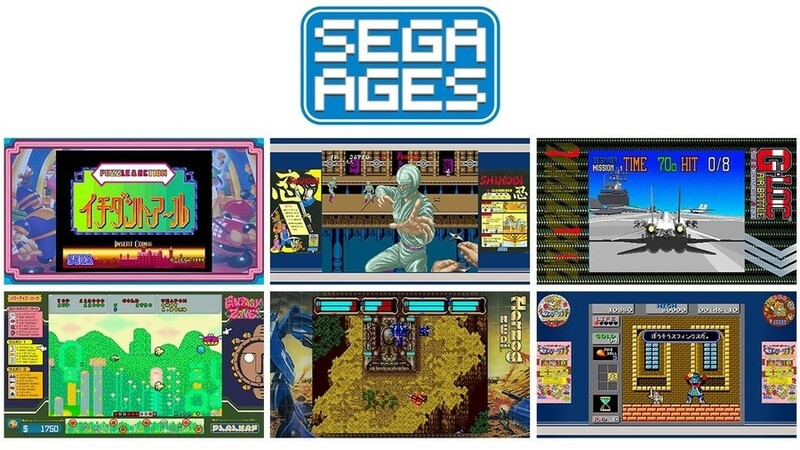 Silly question but, what is “SEGA ages”? Do you have to purchase all these games individually? Or is this a thing you download and games are released for it like NES games on the Nintendo service? I assume you pay individually but the article says more games coming for SEGA ages. It’s just the name for this line of releases. Every game is sold individually on the Switch eShop. I'd love to get some of Sega's later games like daytona usa and crazy taxi. I really hope they do a Sonic 3 and Knuckles release while adding the drop dash like they did in their Sonic 1 release. Correction Puzzle & Action: Inchidant-R was released in 1994 not 1984. Yep, Herzog Zwei (WITH ONLINE!!!!) is absolutely a day-one purchase. Perhaps Fantasy Zone, too. Count me in for G-LOC. Already have an adequate version of Shinobi (Sonic's Ultimate Genesis Collection) and a great version of Wonder Boy in Monster Land thanks to M2 on last-gen consoles. And the Analogue Mega SG defeats the point of buying Herzog Zweil and Inchidant R doesn't interest me. The question mark is Fantasy Zone. I don't really need another port of it with M2's PS2 conversion downloaded to my PS3, but if it can run in widescreen like M2's Fantasy Zone II creation running on System 16 arcade hardware did on the 3DS Sega 3D Classics Collection, I imagine I'll bite. I hope Turbo Outrun is in the next batch. Still sore that Sega never brought the last batch of 3D Classics releases out in the West. 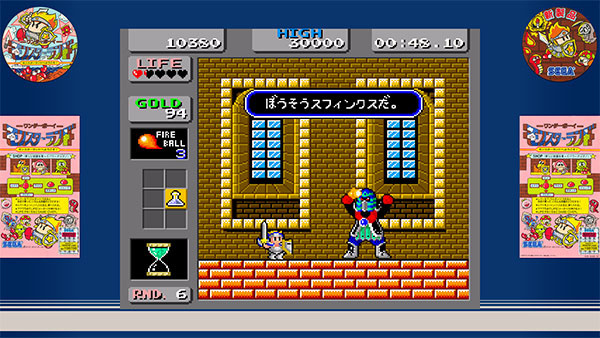 Really hope they add the Master System version of Wonder Boy in Monster Land to the package. 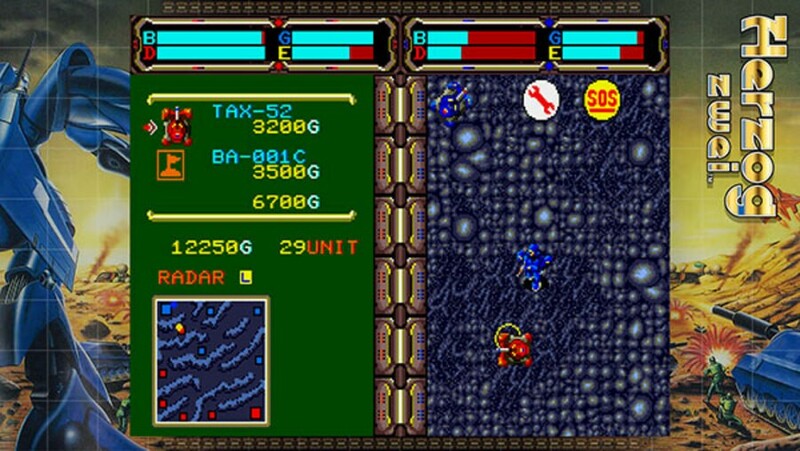 Never liked the inventory stuff taking up so much screen real estate on the arcade version. The SMS version was one of the two games we got at the same time as our SMS. Have loved it ever since. Can't wait to check em out in 2022! Is this why some of these games were missing from Sega Collection on Switch? That's surprising. They're not from the first 15, and theoretically the new batch would consist of more powerful arcade games or even Dreamcast titles. Anyway these ones aren't as attractive at the previously announced for me. Shinobi being an exception. And Wonder Boy should have been the first of the series, never included in collections or rereleased in the first place if I'm not mistaken. Or the one Switch owners only couldn't get in Sega Mega Drive Classics, Wonder Boy III Monster Lair, also not collected before the most recent collection, and as I said, it's not included in the Switch port anyway. I believe the arcade version of Wonder Boy in Monster Land was translated in 2010 (or somewhere about there) for the Wii VC. Sega said (somewhat indirectly) that the previously-existing translation was a bootleg version. 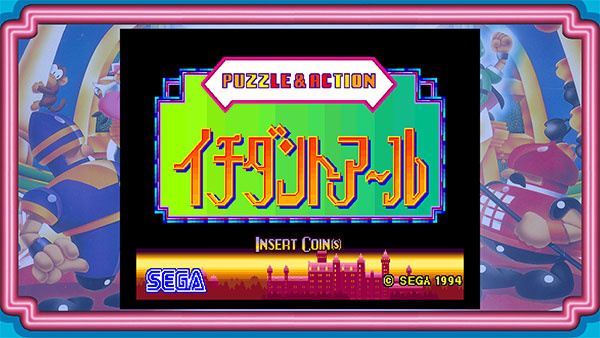 I don't know if arcade Puyo-Puyo was recently translated officially but that was another Sega arcade game which I hear was only translated previously as a bootleg. Also, didn't arcade Shinobi have some legally-questionable imagery such as portraits of Marilyn Monroe or something? @ballistic90 If I may add, Herzog Zwei was one of the first real-time strategy games as the genre was still developing. Dune 2, Rescue Raiders, Herzog, Herzog Zwei. All in the mix that led to Warcraft and Command and Conquer that solidified the genre. Thought the rights to Technosoft games were lost so this is great. Warcraft I & II are available from GoG.com. Lok’tar! Fantasy Zone, huh? The Switch has it all! Wheres the Dreamcast, Saturn games??? I need Rad Mobile arcade version. Great choices here though. @SergeEXE @sketchturner "Gunstar Heroes" and "Sonic 2" already got the M2 treatment on the 3DS. I'd rather Sega and M2 focus more on games they haven't done yet. c'mon Chu Chu Rocket, Crazy Taxi, and Panzer Dragoon Orta. Excellent!! 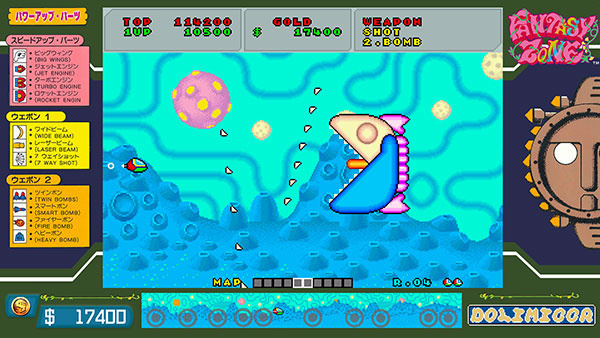 Fantasy Zone one of my all time favorites!! Keep adding games Sega!! You have tons more where these came from!!! Power Drift, Crazy Taxi, Streets of Rage and tons more!! Too many to list! 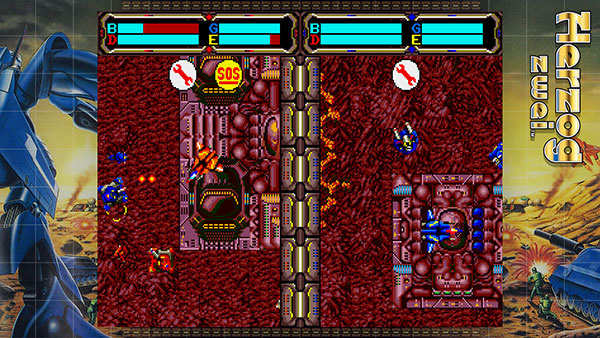 Herzog Zwei pretty much created the RTS genre and debuted on a home console on top of that. I'm sold on that game alone. 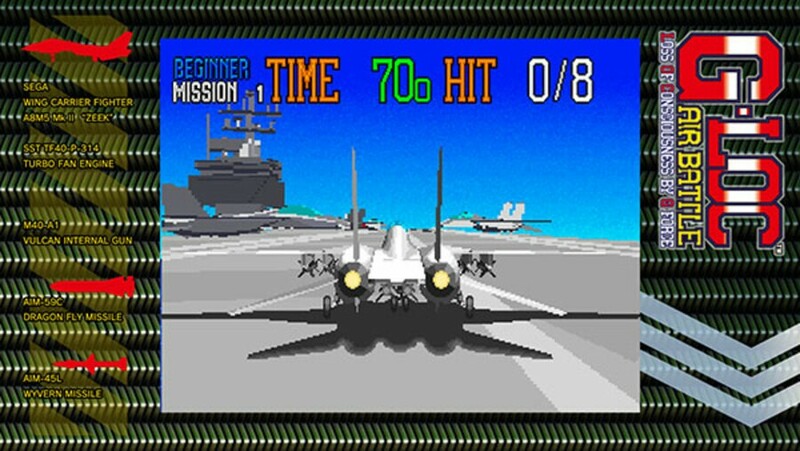 As long as they’re focusing on early arcade games, I hope they see fit to bring arcade perfect Afterburner and perhaps even Congo Bongo. Wish they would make a collection instead of separate releases. I know there's the Sega Genesis Classics, but it's got input lag and less options than the Sonic Ages releases. Nice, loved Shinobi and never played the arcade version of Wonderboy in Monsterland, both big faves of mine on the Master System. Herzog Zwei I've heard nothing but good about. @Audiobrainiac Loved Rad Mobile, it wasn't really a challenge, but it was what I would call a therapeutic driving game. Liked the shortcut too. Also the first game with Sonic in it! Agreed! Would love to have it in this form. @KingMike I don't know about Marilyn Monroe, but I seem to remember reading that red clambering ninja enemies needed changed to green to avoid looking like Sp*derman! @BulbasaurusRex I don't want that port of Gunstar to be only on 3DS, it's got really good features. It would be awesome if it was on other platforms with those additions. GLOC is a surprise, I enjoyed playing this in the Arcade. I can’t think of a decent home conversion. I had it on the Game Gear, and that was bad. @SergeEXE Sure, that would be nice, but that kind of a thing is a luxury compared to getting upgraded ports that we haven't yet received at all. "Gunstar Heroes" on the Switch can wait until after we get stuff like "Sonic 3 & Knuckles," "Golden Axe: Revenge of Death Adder," and the arcade version of "Daytona USA." More of the same, more of the same, and a couple that are not. I know these more well known titles are needed to fund more of these but....argh, just really want to see the rarer stuff like Revenge of Death Adder, Knuckles Chaotix and more, and thats not even bringing up the Saturn and Dreamcast titles. The SEGA Ages line has been great so far so even the games I am not familiar with I will be giving a look because of their great track record. Still none that I'm intrested in! I'm mostly waiting for the Shining and further Phantasy Star releases. Being a Nintendo head growing up, I missed out on a lot of the good RPG content on Sega systems. Herzog Zwei with online support? I must have done something good in a previous life. 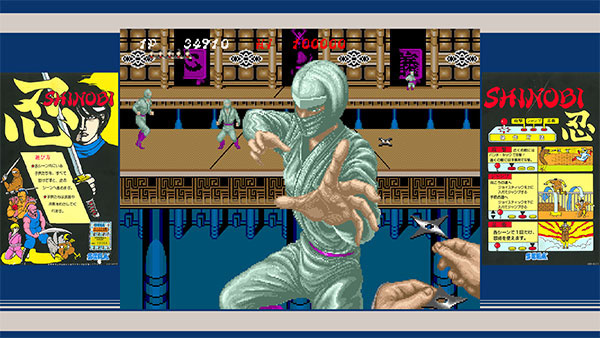 Shinobi is my favourite arcade game of all time. !00000000000% yes. My only issue is when will they come out, they are currently over a year behind in the release schedule. With Herzog Zwei I wonder if there's any news regarding port of a newer entry in this type of RTS genre, Tooth n Tail. @SergeEXE get the MD colelction. @shonenjump86 we need a new shinobi game like the ps2 games. @Geostyle I’m down with that. Although I still haven’t played the one that was on 3DS. @shonenjump86 that game is awesome. Shinobi 3DS was one of my 1st games for the 3DS. Cheap now too for a physical copy New it goes for 5$! The same company made wolverine origins for DS and that game is solid AF too. Check them both out. Hell yeah shinobi! I have it on Wii VC but I don't mind getting it again. I hope they release Shadow Dancer too soon.